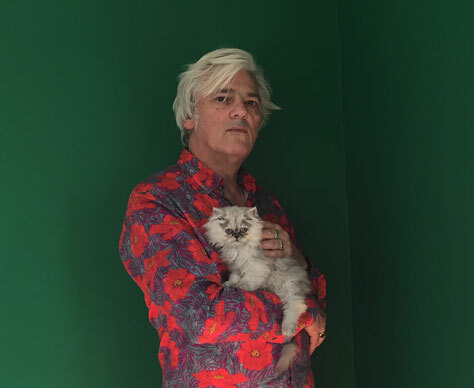 We’re delighted to working with Robyn Hitchcock for the first time! Since founding the art-rock band The Soft Boys in 1976, Robyn has recorded more than 20 albums as well as starred in Storefront Hitchcock – an in-concert film recorded in New York and directed by Jonathan Demme. Blending folk and psychedelia with a wry British nihilism, Robyn describes his songs as ‘paintings you can listen to’. His most recent album is self-titled and marks his 21st release as a solo artist. The album, released in 2017, was produced by Brendan Benson (The Raconteurs). Hitchcock describes it as a ‘ecstatic work of negativity with nary a dreary groove’.